The Lyda Hill Foundation and Geena Davis’s Institute on Gender in Media launch groundbreaking research study on representations of Female STEM Characters in Media. NEW YORK (SEPT. 25, 2018) – The Lyda Hill Foundation, in partnership with Geena Davis’s Institute on Gender in Media at Mount Saint Mary’s University, released an extensive research report on the portrayals of female characters in science, technology, engineering and math in television and film. “Portray Her: Representations of Women STEM Characters in Media” shows that entertainment media has a long way to go to improve stereotypes about pursuing STEM careers. “We’re honored and very excited to be partnered with Lyda Hill, a remarkable entrepreneur and philanthropist with a deep passion for science and for truly understanding the significance of media and entertainment to influence how intersectional women and girls perceive STEM as a potential career. This groundbreaking study demonstrates that if women and girls don’t see themselves on screen as STEM professionals, they’re less likely to pursue those career paths. 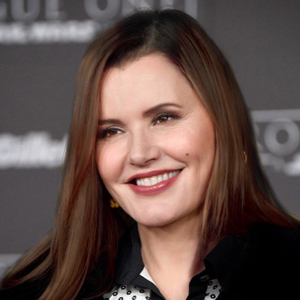 However, the study also shows when entertainment media includes female characters in STEM, it can be highly positive.” said Geena Davis, Academy Award winning actor and founder of the Institute. Girls/women are more likely to go into STEM if they personally know someone in STEM, have a STEM role model, and have teachers, friends and family members who encouraged them to pursue STEM. The “Portray Her” report supports the Lyda Hill Foundation’s mission to promote science. The research behind the report lays the groundwork for the foundation’s soon-to-be-launched “If/Then” initiative, which will create opportunities for female STEM professionals to promote their work and stories and, by doing so, positively influence young girls and women. If/Then asserts that young girls must have positive role models to realize their own full potential. To read the entire report or to receive more information on the If/Then initiative visit ifthenshecan.org. Founded by Academy Award®-winning actor Geena Davis, the Geena Davis Institute on Gender in Media at Mount Saint Mary’s University is the only research-based organization working within the media and entertainment industries to dramatically improve how girls and women are reflected in media targeting children 11 and under.